Note: Most of the photos here came from the Facebook Fan Page of Adidas Philippines, except for photos #4, 7 & 10 which are mine. 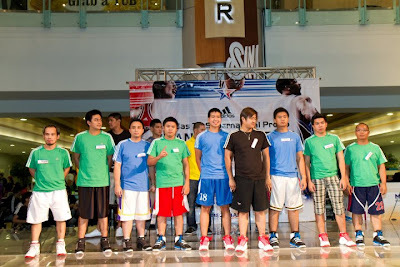 Adidas gathered the 48 grand finalists of the TS Supernatural Shootout at the SM Megamall last March 6, 2010 (Saturday) to determine which basketball aficionado will watch the Orlando Magic face off against the Chicago Bulls live in the US. 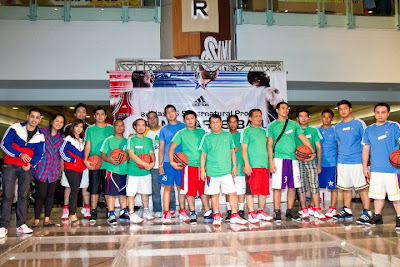 Before the Grand Basketball Shootout, Adidas patrons, who availed of the new TS Supernatural basketball shoes, battled it out in participating adidas stores and sports shops. Patrons joined the promo by shooting at least five mini-balls in one minute. 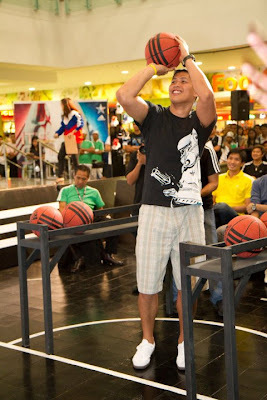 Highest scorers throughout the promo period, from February 1 to 29, from each participating store were then invited for the Grand Basketball Shootout. 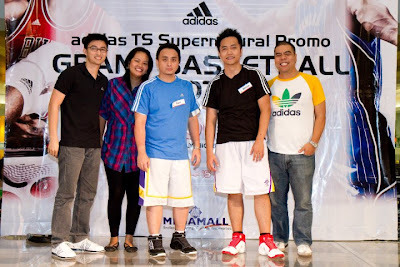 Participants were able to track daily standings of the TS Supernatural Shootout in the Adidas Philippines fan page in www.facebook.com (Search “adidas Philippines” in Facebook). Harnessing the proven engineering of the human foot, the new Adidas TS Supernatural basketball shoe makes you lighter, more stable, and faster! Rounded edges, a fit form collar, and EVA tongue allow for a better fit and feel. An ultra low profile and a Torsion plate provide superior stability, while the use of adiprene propulsion foam under the forefoot gives you maximum lift on your way to the rim. And, at a feather-light weight of 366 grams, the new TS Supernatural basketball shoes give you maximum jump height. 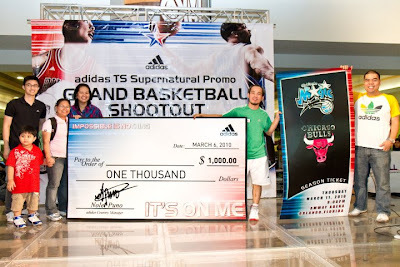 After a three-hour shoot out finals, Gerardo Papa, with 31 points, emerged as the winner of the Adidas TS Supernatural Grand Basketball Shootout! 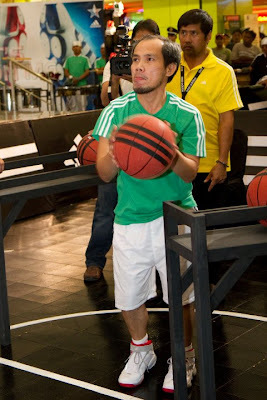 adidas awarded the hoops master with two roundtrip tickets to the US to watch NBA superstars live! As part of his prize, he also received hotel accommodations and pocket money worth $1,000. 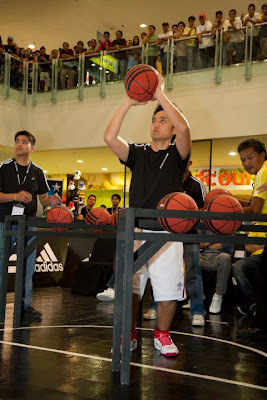 Billion Enriquez (28 points) and Karl Chan (23 points) won first and second place respectively. 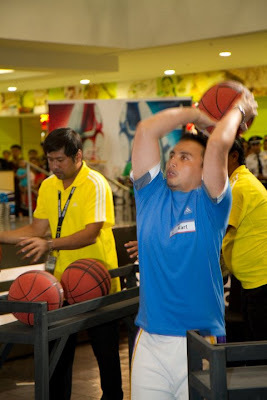 For more information on the TS Supernatural Shootout, join the Adidas Philippines fan page on www.facebook.com.